CityPlace has a parking problem. A proposed San Francisco shopping center is looking to quell residents concerns about parking by removing street parking. 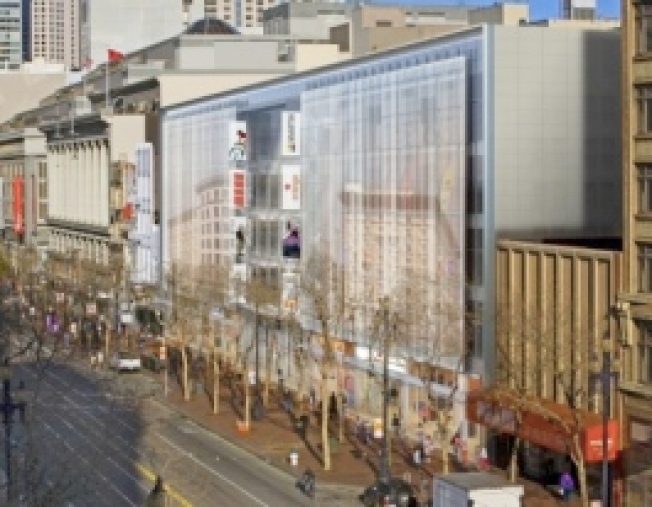 There was early outcry over the proposal to build two levels of underground parking for the seven story Mid-Market shopping center called CityPlace. by proposing to remove some street parking to make room for a turn lane to guide shoppers into the parking lot. While the proposed 201 parking space lot is still smaller than most suburban big-box parking lots, critics are quick to point up the street to the Westfield Shopping Centre, which has no public parking, as a reminder that CityPlace is trying to open in San Francisco not Pleasanton. If the mall eventually gets final approval from the City it would take over several vacant storefronts on Market Street between Fifth and Sixth streets. Redefining the area has been a sticky issue recently. Voters went to the polls just last month to turn down Prop. D, which would have allowed the City to sell billboard space in the neighborhood.